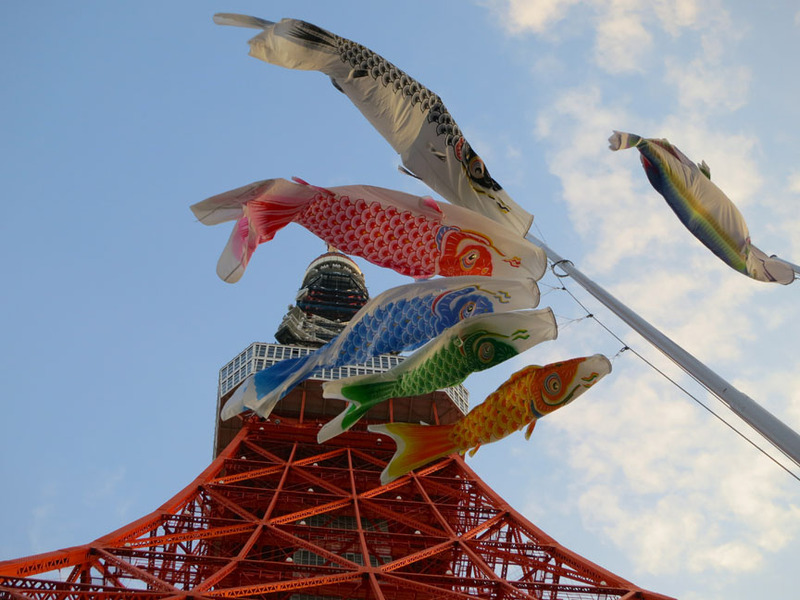 From Kamiya-cho Station, we can walk to Tokyo Tower and a temple with long avenues of stone Jizo figures holding pinwheels. Our first stop is the landmark you can see from anywhere in the city – an exact replica of the Eiffel Tower in Paris, except that it’s orange (and slightly taller). From the observation deck, there’s a 360° panoramic view. 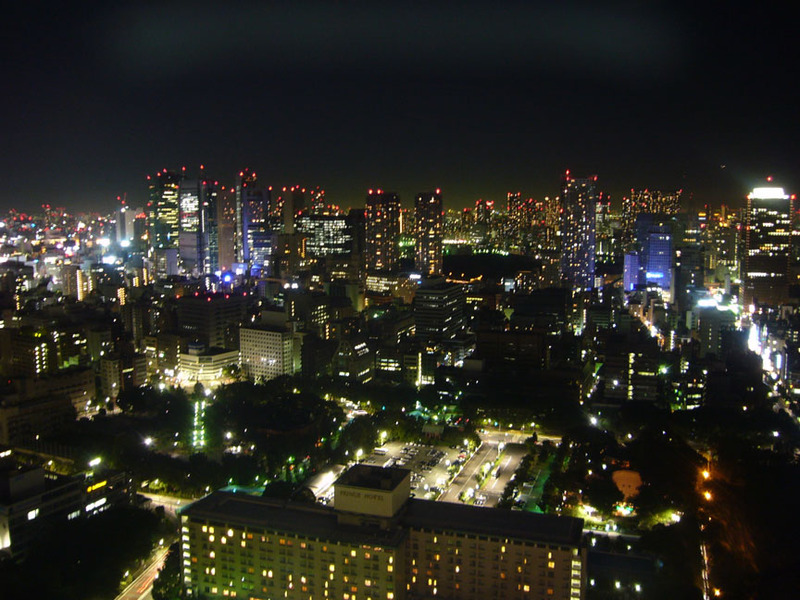 Every weekend and on special days, Tokyo Tower is lit up in different colors from 8:oo -10:00 at night. Schedule for the current month here. 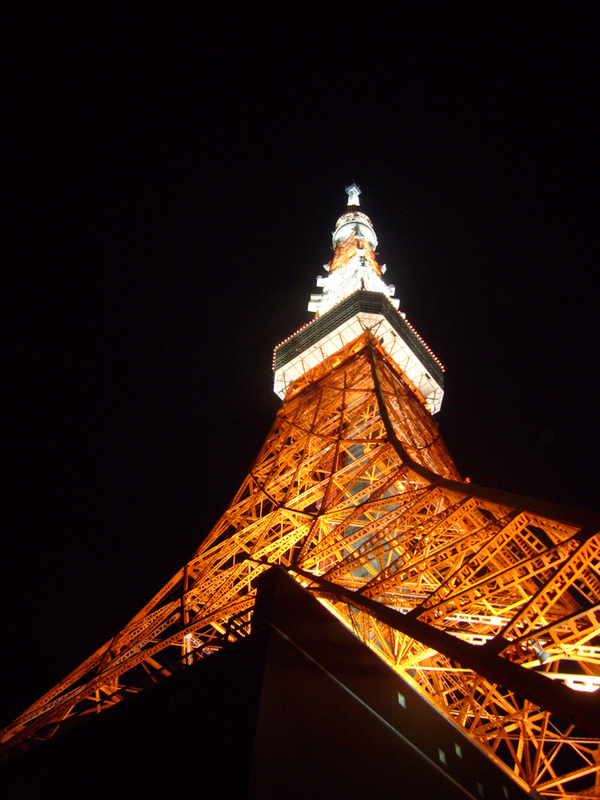 If we skirt Tokyo Tower and head down the hill, we’ll arrive at Zojo-ji Temple. 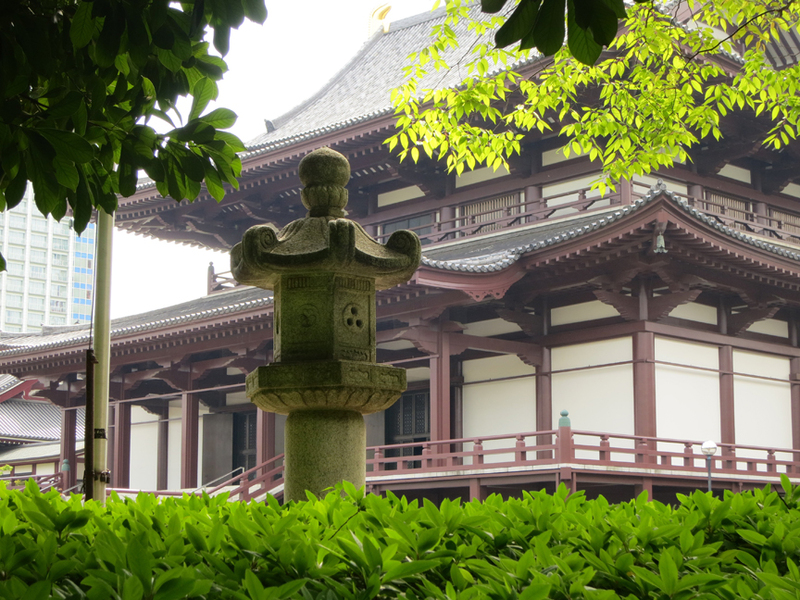 No fewer than seven Tokugawa shoguns are buried in the private graveyard at this magnificent temple. the graveyard is only open on special holidays, but you can sneak a peek over the wall from the side with the Jizo figures. 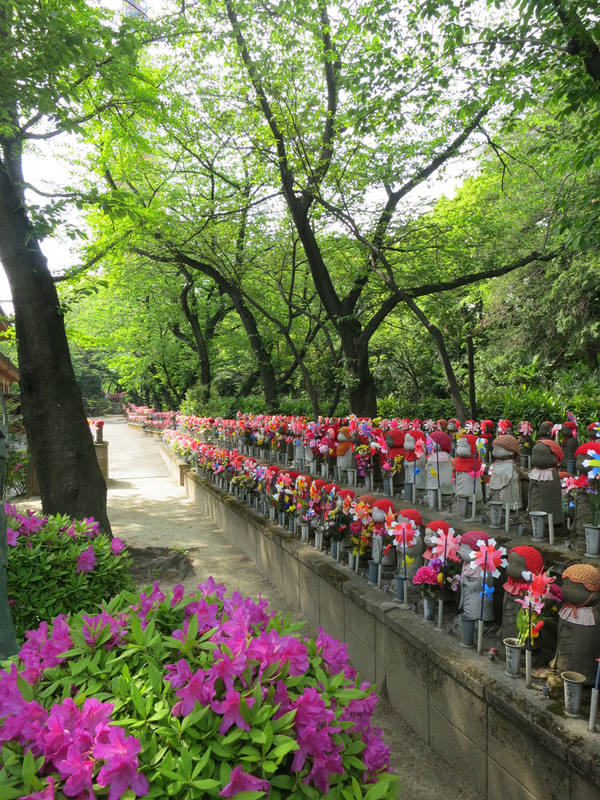 I never get tired of seeing the long avenues of stone Jizo figures, dressed in red bibs and caps and holding pinwheels. These little guys make me a little melancholy, because they are dedicated to the souls of lost children, but the ones at Zojo-ji are so lovingly clothed and cared for by the families that put them there, they’re cheery as well. Their pinwheels send prayers to heaven on every breeze. 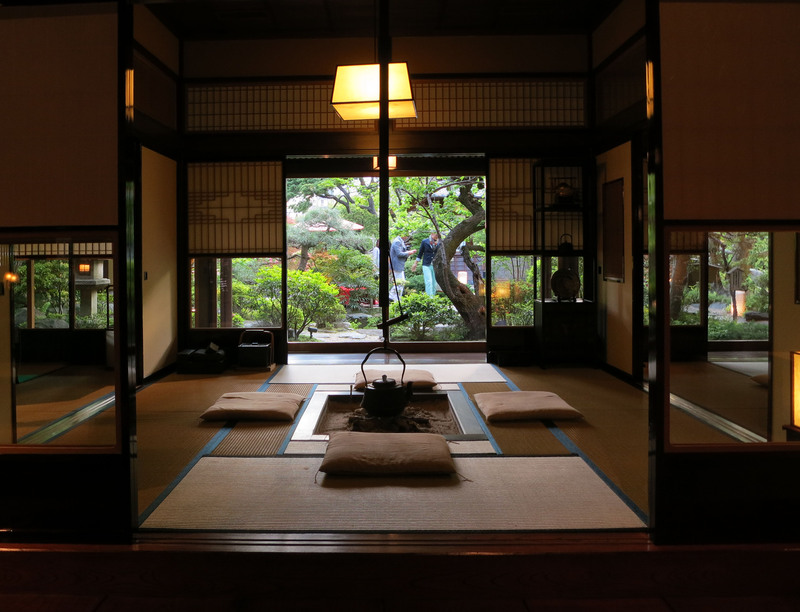 Tofu-ya Ukai is a destination in itself – constructed like a daimyo’s palace, a lunch or dinner reservation gets you a lovely private tatami room with a view of the Japanese garden that sprawls through the central courtyard of the restaurant. 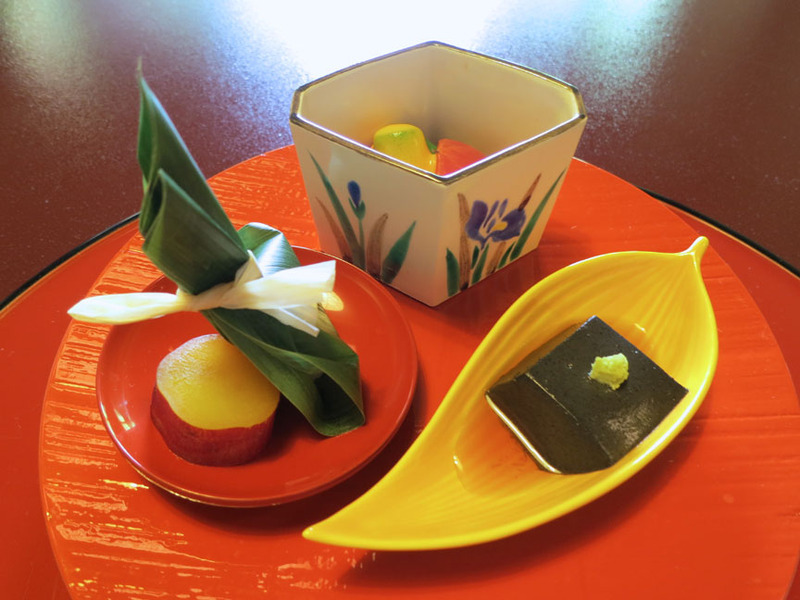 Tofu is the retaurant’s specialty – they make their own, fresh every day – but the menus are kaiseki style, not vegetarian. It’s a set menu, with a progression of 9-10 small dishes made with fresh seasonal ingredients, cooked in different ways. Reservations are necessary. Each course is as beautiful and delicious as this one, which features black sesame tofu, simmered vegetables with miso dressing, and a little sweet potato surprise wrapped in a bamboo leaf. All the rooms are private, and each has a window framing a view of the beautiful garden. 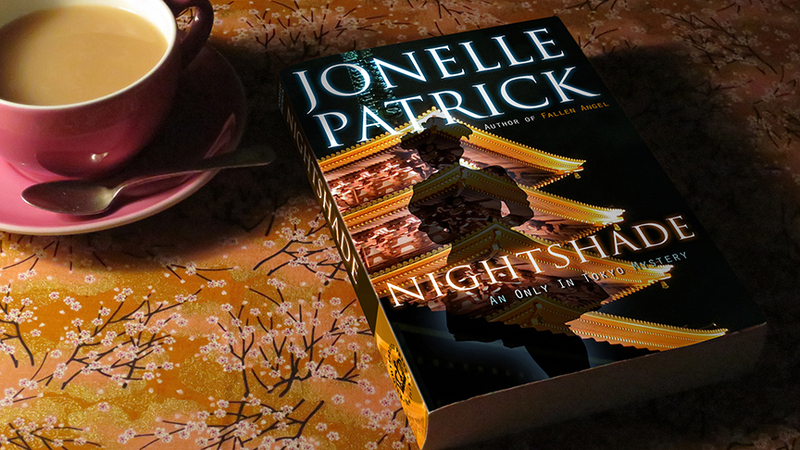 My other fave in this neighborhood is Restaurant New Asia (or Shin Ah Hanten, as it’s known by locals). It’s Chinese, but it’s Japanese Chinese. 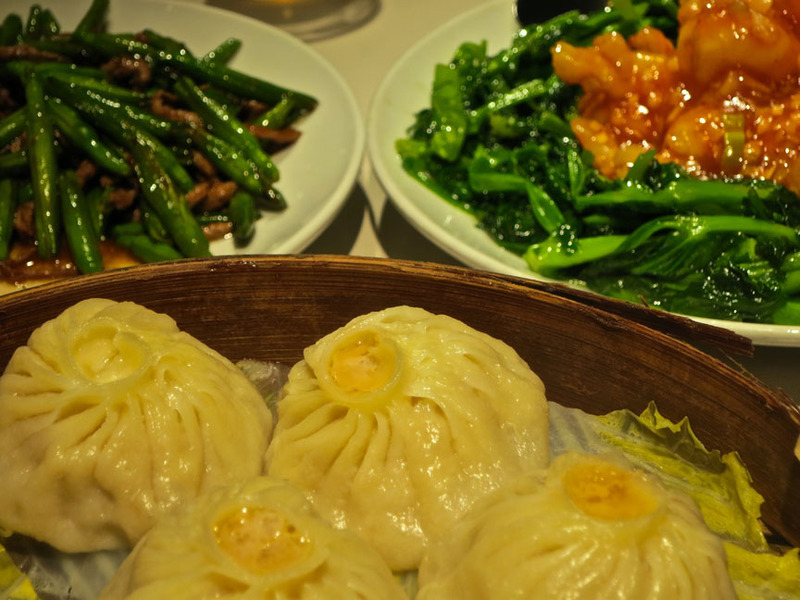 Although it’s authentic Shanghai style cuisine, it’s made with fantastically fresh Japanese ingredients with a lighter touch. Their specialty is shurumpo (Shanghai style pork dumplings) and they’re by far the best dumplings I’ve ever had, anywhere.